Baptismal Preparation class is necessary for parents and godparents of children soon to be baptized. The class teaches parents and sponsors about the Sacrament of Baptism and their responsibilities in this important role. Classes are held from 3:00 to 4:30 p.m. on the third Sunday of the month in library located in the Ministry Building. The session includes a 20-minute video about the sacrament of Baptism. Parishioners are also needed to help facilitate these classes. If you feel called to serve in this role, please let us know, contact the Baptismal Preparation Ministry. 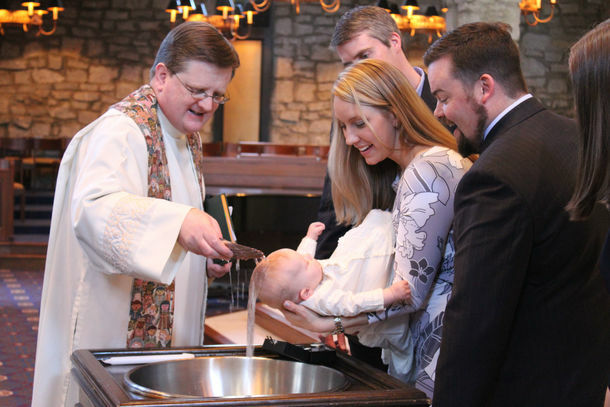 Learn about having your child baptized at Saint Jude.